I got interested in the Hodgkin puzzle when, while reviewing winners of the Copley Medal and the Nobel Prize in Medicine, I came across the names of Dorothy and Alan Hodgkin. Being a hematologist, I was familiar with Hodgkin’s Disease, and my curiosity was piqued—were either of them related to Thomas Hodgkin, the one who discovered the disease named after him? I chased this idea down a rabbit hole, following the history of Thomas Hodgkin to a tunnel leading to Guys Hospital and its esteemed alumni, to a tunnel that led to the history of the great voluntary hospitals of eighteenth–century London, and so on…. Here’s the Doctors Hodgkin sorted out. 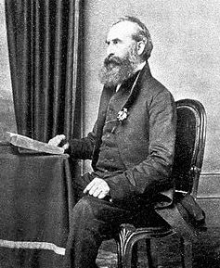 Our pathognomonic Hodgkin was a Quaker with inherited wealth and progressive (anti-slavery and anti-colonialism) political views. He began his career at the sister institutions of St. Thomas and Guy Hospitals but got his MD from the esteemed Edinburgh school. He spent time in Paris treating a Rothschild banker for tuberculosis and learning about the stethoscope and statistics. He would collaborate with Joseph Jackson Lister on microscopy to become the founder of modern histology. Joseph Jackson Lister was the father of Joseph Lister, the father of aseptic surgery. (More name ambiguity). Eventually he would come back to Guys as curator of their museum, and as a pathologist, where he furthered the integration of the field with clinical medicine. The disease he identified, a form of lymphoma, he described in On Some Morbid Appearances of the Absorbent Glands and Spleen. It was not named after him until thirty–three years later. Addison’s Disease and Bright’s Disease are named after two of his contemporaries at Guy’s. His politics put him on the outs with his administration, especially his objection to the treatment of indigenous people of Western Canada by the Hudson Bay Company, confronting powerful hospital administrators who had financial ties to that company. He moved on, married late in life, had no children and is buried in Palestine, where he died from dysentery. His career included prominence as an ethnologist and expertise in preventive medicine. Also a Quaker, this Thomas Hodgkin got a bachelors degree from the University of London and became a partner at a bank that later merged with the great Lloyd’s of London. But he achieved fame in his time as a self-taught historian, an expert on the Middle Ages who wrote the definitive textbook of his day. I am unaware of any direct link between the pathologist and the historian. As we shall see, “Hodgkin”is an old and not uncommon name. This is the grandson of the historian, himself a historian, but Oxford trained. He became an expert in African history after visiting the Gold Coast after WWII. A marxist and anti-colonialist (reinforced by his time in Palestine) he was an advocate for African independence. His social values are also reflected in the fact that this Oxford grad made a living for a time by teaching adult ed (with The Workers Educational Association). In 1937 he married Dorothy Mary Crowfoot, without a clue, I suspect, that she would become a Nobel Laureate. Dorothy Crowfoot’s parents worked in Egypt and the Middle East, returning to England for summers, where the children were cared for by the grandparents. Nonetheless she credited her often–absent mother, a botanist, as a major inspiration to her career. Her scientific education began in grammar school in Beccles, a market town over 100 miles from London. Keen on chemistry and fit for a science career in every way but one, she did a crash course in Latin in order to qualify for admission to Cambridge. This sort of tenacity would serve her well. She became a skilled Xray crystallographer, expert in the structure of biomolecules. After thirty–five years of trying, she discovered the structure of insulin. In 1964 she was awarded the Nobel Prize in Chemistry. While she was not a Communist, she was not allowed to come to the US without CIA clearance. She became President of the anti-nuclear Pugwash Conference in 1976, which 20 years later won, as an organization, the Nobel Peace Prize. 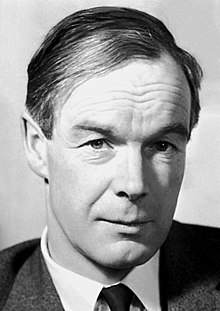 Just one year before Dorothy’s award, Alan Lloyd Hodgkin received the Nobel Prize in Physiology or Medicine. In a late–life interview Dorothy Hodgkin ruminated that the two of them were related—somehow. It is not clear to me how they are, if at all. Oral histories can be little more than conjecture or myth. A Trinity College, Cambridge, grad, his first career move was radar development in WWII. By 1970 he occupied a named chair in biophysics at Cambridge. He collaborated on discoveries in neurophysiology, using the giant axon of the squid as a model. They predicted the existence of ion channels in cell membranes. The positive feedback loop for bioelectrical impulses, the Hodgkin Cycle, is named for him. Three years after his Nobel Award, Alan’s father-in-law, Francis Peyton Rous, also won the Nobel Prize in Physiology or Medicine. At this point the answers are obvious, but here are a few tips. Alan won the Nobel for Physiology or Medicine, Dorothy for Chemistry. Keats trained in surgery at Guy’s Hospital. Lets put a pin in this post with a brief diversion on the subject of anthroponymy. I know, I’d never heard of this before either. Anthroponymy is, as you might guess, the study of names of human beings. Applied to the subject at hand, we learn that the English have a habit of assigning not only variations to surnames, like Smitty for Smith, Smythe and Goldsmith, but nicknames to certain whole surnames, for example Nobby for Clarke, Dusty for Miller, Chalkie for White, and—Hodge for Roger. Hodge is a ‘pet’ form of Roger, and Hodgkin adds the diminutive suffix to indicate ‘–son of’. Related names are Hodgkins, Hodge, Hodges, Hodgkiss, and Hotchkiss. (More than one medical transcriptionist will have typed Hodgkins Disease instead of Hodgkin’s Disease). As to Dorothy Crowfoot, ‘Crowfoot’ is a corruption of Crawford, a name derived from a geographic locality (and has nothing to do with Native Americans or a familial gait abnormality). You won’t find much in the way of books about anthroponymy. There is, of course, the Politics and Ethnicity: Political Anthroponymy in Northern Ghana for $859.83! (seriously) and one in Chinese for $1 (Kindle edition). I suggest three sources for more information: the Wikipedia page on anthroponymy; the web page for the Society for Name Studies in Britain and Ireland (with many useful links of a general nature); and the Forebears web site (for a searchable history with geographic mapping of surnames). The book dealing with the great voluntary hospitals of eighteenth–century London?—Charitable Knowledge, a scholarly work by Susan Lawrence, published by Cambridge University Press. “Charity patients became teaching objects and hospitals became medical schools” for a consortium of hospitals: St. Bartholomew, St. Thomas, Guy, the Westminster, St. George, the Middlesex and the London. Many American doctors will recognize this as the prototype for their own training. Most of the biographical information in this article is available from Wikipedia[ Wikipedia]. Supplementary sources to consider are the Encyclopedia Britannica[ Encyclopedia Britannica | Britannica.com] and the Oxford Dictionary of National Biography[ Oxford Dictionary of National Biography. The links for anthroponymy are embedded above. Thomas Hodgkin. Morbid Anatomist, Social Activist. As usual, we invite you to comment, email us at info@medicalhistorytour.com, visit MedicalHistoryTour.com and check out the books on medical history via our Amazon affiliate link.